Dr. Dickinson is board certified in plastic & reconstructive surgery by the American Board of Plastic Surgery and is a member of the American Society of Aesthetic Plastic Surgeons and the Rhinoplasty society. He is one of the few plastic surgeons to perform both cosmetic and reconstructive rhinoplasty procedures. His extensive experience and tender, passionate approach draws patients from all over the country to his practice in Newport Beach, California. The most frequent rhinoplasty request from patients is to correct a dorsal hump, bulbous or broad tip, and drooping or plunging tip. These patients typically want a smaller nose with either a straight dorsum or slightly scooped dorsum and a nasal tip that is narrower, more defined, and less droopy. We typically correct the deformity of the tip with an open rhinoplasty, but this can also be accomplished with a closed rhinoplasty. Dr. Dickinson uses both open and closed rhinoplasty techniques, deciding which method with the patient. 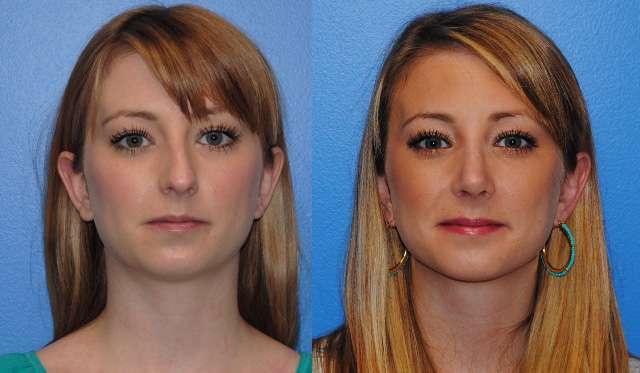 Another common group of patients that Dr. Dickinson treats are those with a deviated nose or nose that is not straight. These patients may have had a previous trauma or simply have a nose that has turned to one side over time. Often, these patients also have difficulty breathing, which requires an airway obstruction correction to remove part of the nasal septum that is curved and reduce the nasal turbinates. 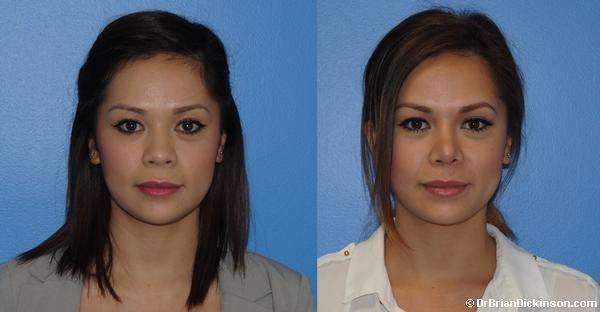 Correcting patients with a significantly deviated nose requires an open rhinoplasty. 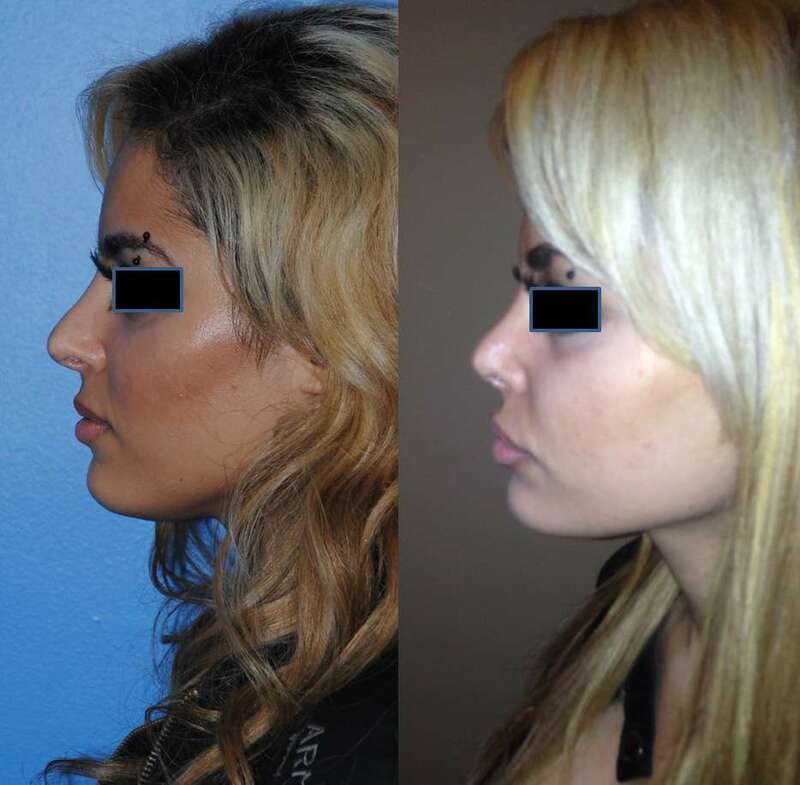 Middle Eastern individuals are also a large subset of patients who request rhinoplasty procedures in Newport Beach. These patients have a similar nasal profile described in the first two groups above. Typically there is a dorsal hump and a large plunging tip which they want modified into a variation of a straight or scooped dorsum, and a more defined nasal tip. Dr. Dickinson also frequently performs Asian rhinoplasties. Patients of Asian decent traditionally desire a more defined nasal dorsum or bridge and narrower nasal abase. There are several different ways to accomplish this. A dorsal graft can be inserted into the nasal dorsum, but changes to the tip are best accomplished with an open rhinoplasty and modifying the tip cartilages. The nasal base is typically narrowed and modified with nostril sill or alar base modifications. 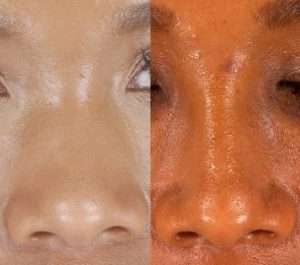 African American patients typically desire nose jobs similar to Asian patients. There is often a desire to rotate the nasal tip downward and to reduce the amount of nostril show. There are two general broad types of rhinoplasty operations, open and closed. An open rhinoplasty procedure involves an incision on the columella. This incision allows the surgeon to have great access to change the shape of the nasal tip. It also allows the operating surgeon to take apart any attachments of the nose that may be causing a deviation and correct it. The open rhinoplasty is valuable when significant changes need to be made to the nose to straighten or change the tip shape. A closed rhinoplasty is where any changes to the shape of the nose are performed from incisions entirely on the inside of the nose. A closed rhinoplasty can be performed on almost any patient, but when significant changes are needed in relation to the tip or to straighten the nose an open rhinoplasty is more helpful. The rhinoplasty consultation in Dr. Dickinson’s office takes about one hour. In the beginning of the consultation, we discuss if you have any breathing problems, or symptoms of airway obstruction. We then examine the inside of the nose with a nasal speculum and perform simple maneuvers to determine airflow. This is a relatively painless examination. The next part of the consultation is a discussion where Dr. Dickinson wants to hear what you would like to change regarding the shape of the nose. During this part of the consultation Dr. Dickinson spends time educating patients on the different anatomical terms of the nose. Once the terms are understood, time can be spent discussing the changes and degree of changes. 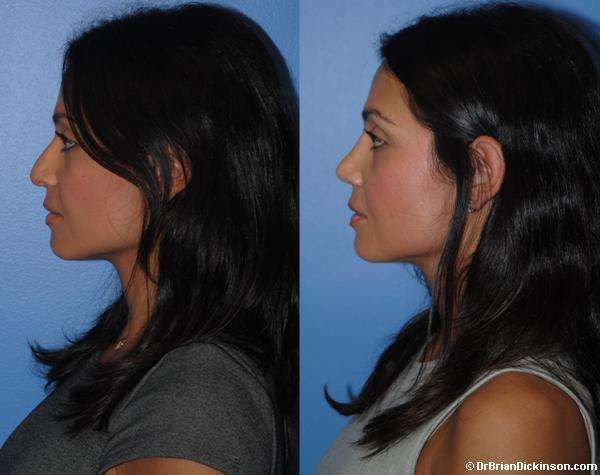 For patients who wish to change their side profile or tip position, we use photo software to help us describe the goals of the profile that the patient would like to achieve. The photos do not guarantee and exact replica, they just facilitate discussion. The surgery for a rhinoplasty operation is performed under general anesthesia. The patient does not see, hear or feel anything. On average, a rhinoplasty operation can take anywhere from one hour to three hours. Rhinoplasty operations that require grafts from other parts of the body such as ear cartilage, rib cartilage, or fascia will make the operation longer. If it takes longer than three hours it simply means we are being particular to make it the best we can. After the rhinoplasty operation, the patient will wear an external nasal splint. The external nasal splint remains in place for one week. If significant septal work has been done, there are internal nasal stents that remain in place for two days. There is no nasal packing. After surgery patients are given a Medrol dose pack for swelling, pain medications, and antibiotics. Patients are instructed to sleep with their head elevated for about 48 hours after surgery. Patients can return to cardiovascular exercise or non-contact weight exercises after two weeks.
" I was referred to Dr. Dickinson by a friend of mine who had her nose done by him. Of all the surgeons I met with, he was the one who spent the most time listening to what I wanted. He knocked it out of the park! I am so happy with my results. Thank you Dr. D! " " I haven’t met with another surgeon who has been more thorough and honest. During my consultation he was personal and informative. He discussed all my options, what to expect from the surgery, what to expect after surgery, to what the recovery process was going to be like. Needless to say, I went ahead with the surgery. I couldn’t be more happier with my decision. He gave me more than what I was hoping for, an improved and enhanced version of myself. It is extremely natural that no one around me was able to pinpoint what I changed. Everyone thought I just aged very well. I’ve had friends tell me that my nose makes them want a nose job themselves. To top it off, his bedside manner is second to none. His passion for what he does is evident in how much he cares about his patient and their happiness. Thank you Dr. D! on a side note, the surgery center he operates out of is spectacular. You’re in great hands with Dr. Dickinson’s team! " " I had a rhinoplasty done by Dr. Dickinson and could not be more pleased with my results and overall experience. From my first consultation until months post-op, there is no other surgeon I think could have provided me the care and attention I received. I have never met another physician who visibly cares about his work to this level and who always cares about the patient and their needs. My results turned out stellar and I really achieved the results I was seeking. Prior to the surgery, everyone discouraged me and said I did not need it but I am beyond happy I had it done and by the best surgeon. From his bedside manners to the results, there is no other cosmetic surgeon I would ever go to other than Dr. Dickinson. I absolutely love my new nose, it’s such a big change but done so naturally that it doesn’t look like a “fake” nose which is common after this type of surgery. And, it’s still changing and looking better everyday months later just like Dr. Dickinson said it would. Dr. Dickinson’s knowledge, care, patience, understanding, performance, and follow-up is exactly what you want in a surgeon. He definitely was more than I could’ve expected and I will forever be grateful to him. " 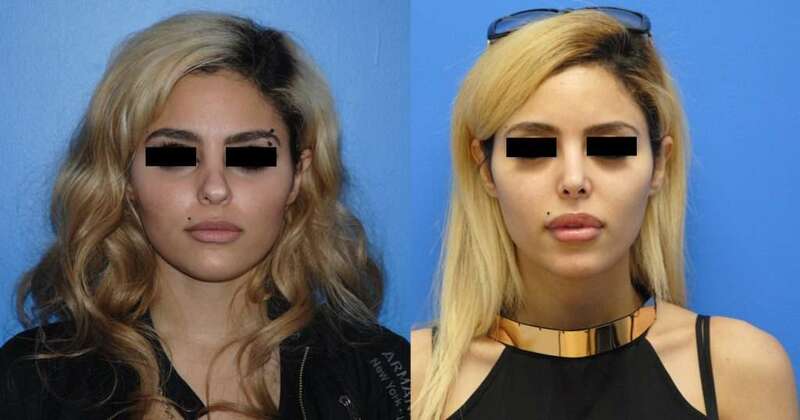 Dr. Dickinson performs a significant amount of Secondary Rhinoplasty surgeries. The secondary rhinoplasty is challenging in that an open rhinoplasty will be performed in an already operated or scarred environment. Often times grafts will be needed of fascia, cartilage, or skin and cartilage. Secondary rhinoplasty cases involve principles of reconstruction that are applied to improve the aesthetic appearance of the nose by rebuilding it. For that reason, seeking out a surgeon with extensive training and experience in plastic & reconstructive surgery is ideal in these cases. I had my nose broken in a car accident a few years ago. Since then I can't breathe correctly out of my nose. I snore at night. I use nasal sprays, and my allergies are worse. Is it possible to have this fixed with a rhinoplasty reconstructive surgery? Yes! It is very common for patients to have a deviated septum following even minor trauma. The deviated septum can obstruct the airway, make breathing difficult. This is often more pronounced in patients with already compromised airways from allergies. Frequently, nasal sprays only provide partial relief because the obstruction is anatomically based as well. Reconstructive rhinoplasty surgery can alleviate these issues. “I enjoy these operations since learning the structural and functional anatomy was a significant part of my Plastic & Reconstructive surgery training. Furthermore, it gives me great satisfaction to improve someone’s breathing from chronic obstruction. Not only does this improve their exercise capacity but it improves their sleep pattern. As a result, they are better rested and able to be more productive in their everyday life”. My friend had an airway surgery and they needed to take cartilage from somewhere else on his body. Will this need to be done in my nose job? Not necessarily. To improve the airway, grafts of cartilage are used as a buttress to support the valves of the nose so that inspired air can move more freely. When someone has a deviated septum, often we use a portion of the cartilage from the septum that would ordinarily be discarded. I have been very happy with the use of septal cartilage for lateral crural strut grafts to stabilize the external nasal valve. In some cases, if a person does not have adequate septal cartilage, cartilage from other parts of the body may be used, such as the ear. In complex secondary rhinoplasty operations, a rib graft may be used as a source of cartilage. Can you also improve the appearance of my nose while you help me breathe better? Absolutely! It is very reasonable to want to reduce a hump on the nose, narrow it, or define the tip of the nose during a rhinoplasty cosmetic surgery that is also correcting your airway. 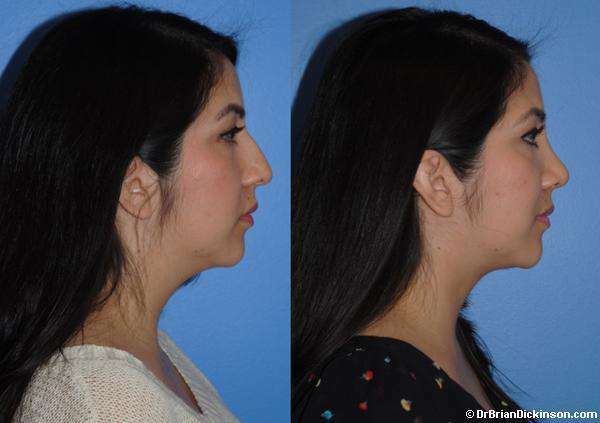 What's the overall process to have a rhinoplasty surgery at your Newport Beach facility? Depending upon your age and overall health, you will need laboratory analysis and/or medical clearance by your doctor. The last step is to schedule a surgery date. Depending upon the necessary steps to improve your airway or improve the appearance of your nose, you must allow adequate time for swelling to subside and recovery.